Before we dive in, I am giving away two free resources to help you with valuations. Get your free copy of my infographic and valuation checklist now! Determining the value of your sponsorship inventory and defining your own sponsorship valuation formula is without a doubt the thing that strikes fear into the hearts of even the toughest sponsorship sales pro. We get more questions about this subject than any other topic on sponsorship. This post is meant to serve as one way to run a valuation for your property and identify appropriate Sponsorship fees. It is not the only way! In fact, there is no one way to do valuations and before you ask, there are several sponsorship pricing strategies. There is no magic list of values and sponsorship fees! You can’t just download a list of values that work for all properties all the time (or even any of the time!). Finding a list of the average sponsorship costs in your industry is interesting, but not useful when building your own sponsorship valuation formula. Make no mistake, your property’s value is as unique as your fingerprint. It is something you create for your property based on your unique situation, mix of assets, brand value and audience segments. Here is a process, in order of priority, that will help you find your unique value. Check out this cool infographic to help. Click on it to make it bigger and make sure you sign up here to get a copy of it along with my sponsorship valuation checklist! Check out this cool infographic below (click it to make it bigger). It will help simplify things and make sure you Get your free copy of my infographic and valuation checklist now! 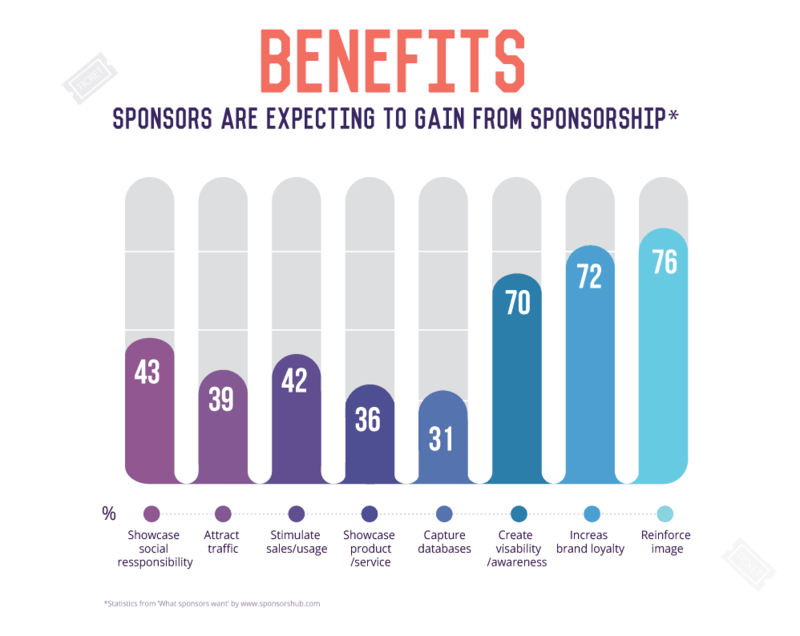 Good Sponsorship Measurement Starts With Your Sponsorship Properties! First things first, you need to know what you are selling sponsorship for! Asking a company for money to support your mission in exchange for a logo on your website is a useless endeavour. In fact, it will damage your brand and your relationship with your prospects. Property building is the first step in the valuation process. What is a property you ask? Simply put, it is a collection of assets, serving a specific audience in a specific way, against which you can sell and recognise sponsors and develop a custom sponsorship value calculator. Confused? You should be! That’s a pretty vague answer. Let’s move to examples instead. What do these things have in common? They are distinct entities and a sponsorship seeker (or rights holder) can have many sponsorship properties. They cater to a specific audience and have their own set of assets that you can sell and recognise at these properties. Can a gala or marathon be a property? Of course! They can also be part of a broader property that unites them. If the marathon is part of a series of events used to bring together the same audience over and over, like university alumni from the legal program, then you might think of those networking events as one property and each individual event as an asset. Some organizations look at their communications platform as a property in and of itself while others see it as an asset to be used by multiple properties to drive up the value of their sponsorship packages. Once you have identified your properties, then you can move on to assets which leads to your own sponsorship price list! People often confuse assets and properties. For example, “slapping a logo” on a newsletter is often considered a property and sold as such, but actually it is an asset that can be added to your property to increase its value and seldom has much value outside of the context of a sponsorship program. The sponsorship value per impression of these types of assets is typically quite low. Nobody wants to buy one tweet, one eblast or one logo on your website. These individual assets are little more than advertising unless packaged together under a property, valued and then activations are created to help your sponsor get the most out of their investment. Don’t worry, we’re going to talk about activations below! Using Excel or a big white board, bring together your entire team. Not just sponsorship salespeople, but those in other departments (marketing, programs, ticket sales, communications, volunteers and board members). List each property on its own page or spreadsheet and start to define every single thing you can sell to a sponsor. Your very first question should be “What can we put logos on?” spend only 5 minutes on this and then…nobody is allowed to say the word “logo” again. Sure, putting logos on stuff is part of sponsorship, but unless you have an audience of 10 million people you won’t make a cent with just this in your inventory. After everyone has gotten “logos on stuff” out of their system, move on to more advanced questions. Look through the categories listed below and determine with your team if you can offer assets under each heading. I have found it helps to bundle the assets into categories. The answers to every one of these questions becomes an asset and then becomes an activation idea. More on that soon, I promise. What do our sponsors want to achieve? What actions do they want our audience to take? What do they want us to measure to prove that we delivered? What do our sponsors want more of and what do they hate? We ask your audience and your sponsors! That’s right! The only person on earth who knows exactly what your sponsor wants is…your sponsor. So ask them. Once you’ve finished this exercise, do some research. Look to all of your competitors, not just direct competitors but properties that attract your audience, that run your type of event and that exist in your target geography. List all of things they are doing as well. Now you have a sponsorship inventory! A list of everything your team can think of, everything your sponsors can think of and everything your competitors can think of. Now hold on to it, because you’ll need it for step four. You have your properties and now you have your assets…but you can’t do a sponsorship valuation until you understand your audience. 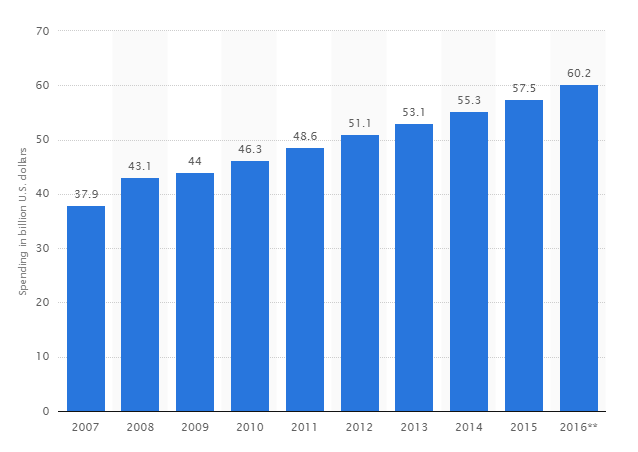 If this is your audience then you can still do a valuation…you just need 10 million of these types of people to generate any money and even then, sponsors want way more than this. Why are these audience segments useless? Because they tell a sponsor nothing about whether or not you have their customer base and makes measuring sponsorship effectiveness impossible for your sponsor. The less you know about your audience, the less likely a sponsor is to trust that you can deliver on your promises to get your audience to take a specific action. What do these audience segments have in common? You can instantly see what they are likely to purchase, their needs, responsibilities etc. and it make build a sponsorship valuation formula much much easier. But you’re not done yet! Once you know your audience segments, you need to know their preferred brands and what purchases they intend to make. Who do you bank with? Would you consider a change in the next two years? Do you have a mortgage? How much? When do you plan to buy a house or move? Do you have life insurance, retirement savings? With who? Do you plan to change? What is your household income? What is your preferred brand of car? Do you lease or won? When do you plan to buy a new car? What is your level of education? What industry do you work in? How many years? What is your level of responsibility? Do you control a budget? What size? How many staff report to you? This is not an exhaustive list by any means! Now picture yourself sitting down in front of a major bank, telling them you have 40-year old, high net worth moms, who live in suburban Chicago, with two or more kids who play baseball. You know they bank with your prospect’s competitors and you know they want to change banks. You also know they plan to save for their kids’ school, retirement and a new house when the third child comes along. When people ask for that magic list of values or ask me how to do a valuation, this is usually what they are asking for. As you can see though, step four on its own is actually not that useful without the other six steps. I’ve never eaten an elephant, but if I did, I know exactly how I’d do it: one bite at a time. Here is yet another example of what life can teach us about sponsorship! How do you complete a valuation on an inventory of 50, 100 or 1,000 assets? One asset at a time. Again, not an exhaustive list! But once you start to divide your inventory across this many categories, you quickly make this far more manageable to work with. The next part of the sponsorship valuation process is where art and science come together. The name of the game for sponsorship valuations is to ask yourself “where else can a sponsor get the same outcome?” If they were to go around us to target our audience. Sponsorship return on investment is an important element of your program. If a sponsor can achieve the same (or better) outcome through other marketing channels, they will pursue them…which is bad news for you. The value of every asset changes depending on your audience, geography and type of asset. What if your sponsor wants sampling opportunities? What if they want to collect email addresses? This process will leave you with a huge list of assets with values and a small list of values without. Some of your leftover assets are intangible assets that are impossible to assign a market value to…but that doesn’t mean they have no value. You can reserve those items for special sponsors (like invitation to a sponsor summit, naming rights of a small event or experience that you cannot buy). Other assets will require that you dig a little deeper. By the time you have done this for 20 or more properties, you will start to know which are “hard to find” values and which are impossible to find. So that’s it, right? You have your valuation! Not so fast. All you have is an inventory of advertising prices. You still need two things: your brand value (sometimes called intangible value) and some activation ideas. I didn’t say this is an easy process, I only promised to tell you how to do it! Step Five: Your Sponsorship Evaluation Template Requires You to Find Your Brand Value! First, let me say that when I say brand value, I mean as it relates to sponsorship. I don’t mean that you have to hire a marketing firm to test your market value with consumers or your target audience. If you have done this…great! If not, no problem. Brand value is the additional benefit that your sponsors receive by reaching your audience through your property as opposed to other forms of media & marketing. When a sponsor aligns with their customer’s favourite team, charity or profession those opportunities have a bigger impact (and are worth more to your sponsors). Here is a simple way to calculate your brand value (followed by why you should care about this step). Again, not an exhaustive list but a good start. How do you make such a list? Remember that top secret tool that consultants keep a secret? Ask your sponsors what they value in a partner! Then you assign a percentage-based value to each of the things you offer, typically from 10% – 30%. For every one of the things that you offer, you get to add that to your values. *You should know, I made these numbers up! You have to decide through your own meetings with prospects how important each of these are to them. Need an easy litmus test? Imagine yourself explaining this to your sponsor. If you cringe at the thought of telling them you have loyal customers, or can’t explain why you claim they are loyal (and therefore worth a 30% increase in sponsorship fees)…don’t add it to the list. This is one of the ways to develop brand value. We didn’t invent it and, full disclosure, we don’t use this approach when we do brand value calculations, but that doesn’t mean it isn’t useful. There are plenty of highly skilled consultants out there using exactly this model and it works just fine for them and their clients. If you are doing this yourself, this is the sponsorship evaluation model I recommend. Once you have your brand value, you add it to the value of each asset. In other words, if you determine that a logo placement is $1 per view, then after your brand value, it is now worth $1.92. Just like that, you’ve almost doubled your revenue by understanding the role your brand plays and how you can increase your value. In some very rare cases, we have seen properties charging seven times their hard values. This is not normal! If you find yourself charging more than three times the value of your assets, you are likely being too generous with your brand value and will be very disappointed by the reaction you get from sponsors. The next step in building out your own valuation calculator is identifying some turnkey activation ideas. This is not a suggestion to create a “gold, silver, bronze” package. Instead identify some activation ideas that you can use to drive the conversations with prospects. So how do you build an activation opportunity? First let’s start with understanding activation: it is the process of helping your sponsors get the most out of their investment and to measuring their sponsorship return on investment. Putting all of their samples on a table is an asset. Letting them come to your event, sending some eblasts, running a contest and giving them a speaking opportunity is activation. Collecting emails at the gate is an asset. Running a raffle for a free iPad in exchange for a ballot is activation. Activation can be simple or complex but it lets you group together assets and drive up the value (and cost!) of your offerings. How do you come up with these ideas? Back to your sponsorship survey questions! Ask your audience what they love, what they hate, why they are connected to your property and their goals. What do our customers/clients/donor/volunteers want? Why do they engage in this property? Why do they come to this networking event? What does our audience want more of? What problems are they trying to overcome? What complaints do we hear? Once you know the answers to these questions, then you have some turnkey activations that you can offer your sponsors, telling them that their target audience wants these things. Far better to create a custom experience for your attendees than to put a sign full of logos in front of them. Find out what your audience loves and hates and create something to solve that problem. Add together all of the associated assets to deliver an improved experience and value them. You now have a $7,500 offer for a sponsor getting them closer to their target audience in a way that matters to that audience. Remember to provide assets to your sponsors so that this activation opportunity can be shared throughout various marketing channels relevant to the target audience that the sponsor is looking to reach. By step seven you are definitely in the home stretch. Once you arrive at step seven, all that’s left to do is build a strategy and revenue goals based on what you have to offer. Prospecting is far easier now as well. Simply look at your audience data, the results from your sponsorship survey questions and look at all of the things they are likely to purchase. Then look to all other properties that cater to that audience and see who they are working with. You should have no trouble finding 100+ prospects. When we do prospecting for clients, we have to limit ourselves to 300 prospects. Otherwise we end up with unreasonably large lists that you could never qualify. The prospects you will identify will be highly targeted and far more likely to take your call. The last thing you want to do is identify the things within your brand value that you are not doing well at. Once you have this, you can start to assign resources to get better at those items. Focusing on increasing your brand value is one of the easiest ways to increase the value of your inventory. Focusing on finding more places to put logos is probably not the best use of your time and resources. Finding ways to make sponsors happier means they will stick around but also means you can charge more (within reason) for those same assets that you identified already. Follow this process step by step and don’t skip steps! Each step in the process depends on the last. Need some more guidance and resources? join the next Sponsorship Webinar where we do a deep dive into all aspects of the sponsorship sales process (including sponsorship valuations). Chris Baylis is an expert in sponsorship valuation and sponsorship strategy. Chris works with brands and sponsorship properties to define their sponsorship goals, determine market value of their sponsorship assets and create strategies that work. Chris is the President and CEO of The Sponsorship Collective, a board member of the Association of Fundraising Professionals and an international speaker and consultant on all things sponsorship marketing.